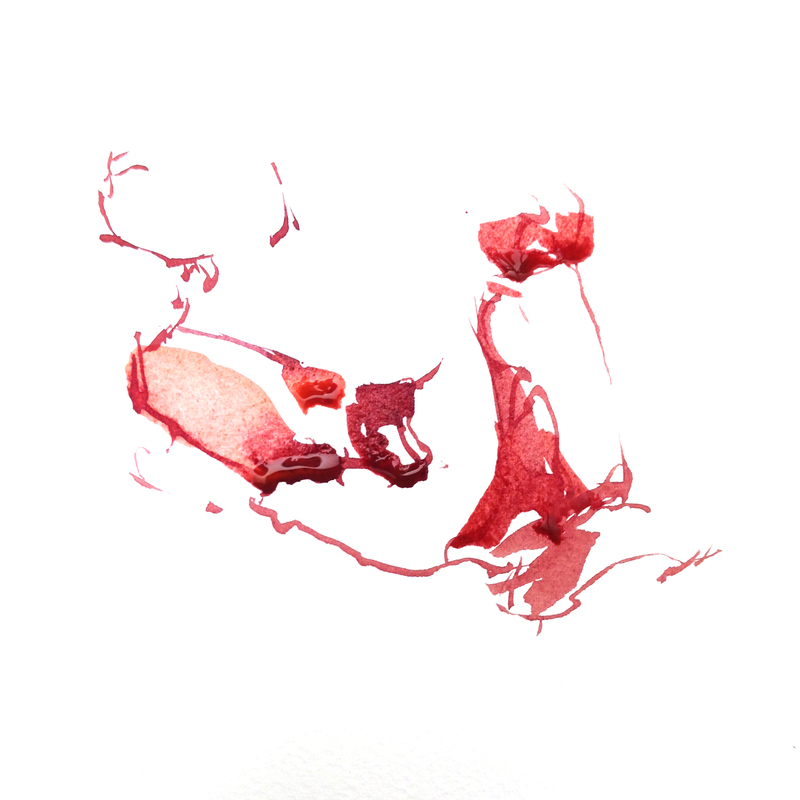 What if I want to paint Direct Watercolor, but I still think in line? That’s certainly my situation. 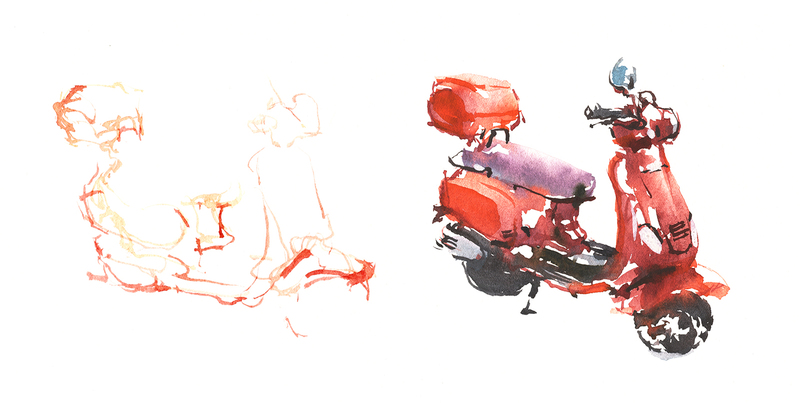 I want to paint, but I think in line :) It’s such a habit from years of drawing. 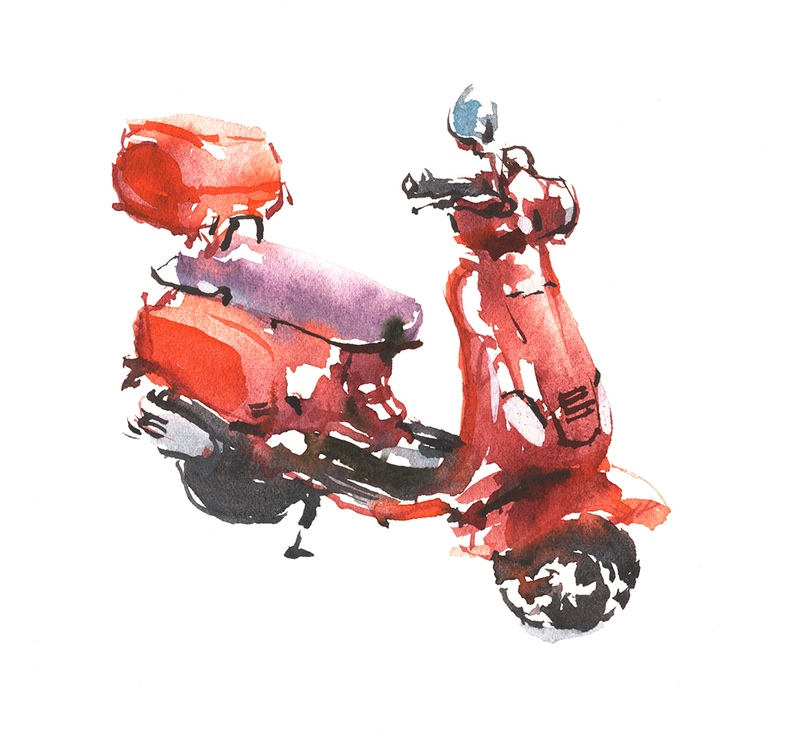 I’m thinking about my upcoming demos in Chicago and Porto, and how we might break down Direct Watercolor into achievable exercises for people. 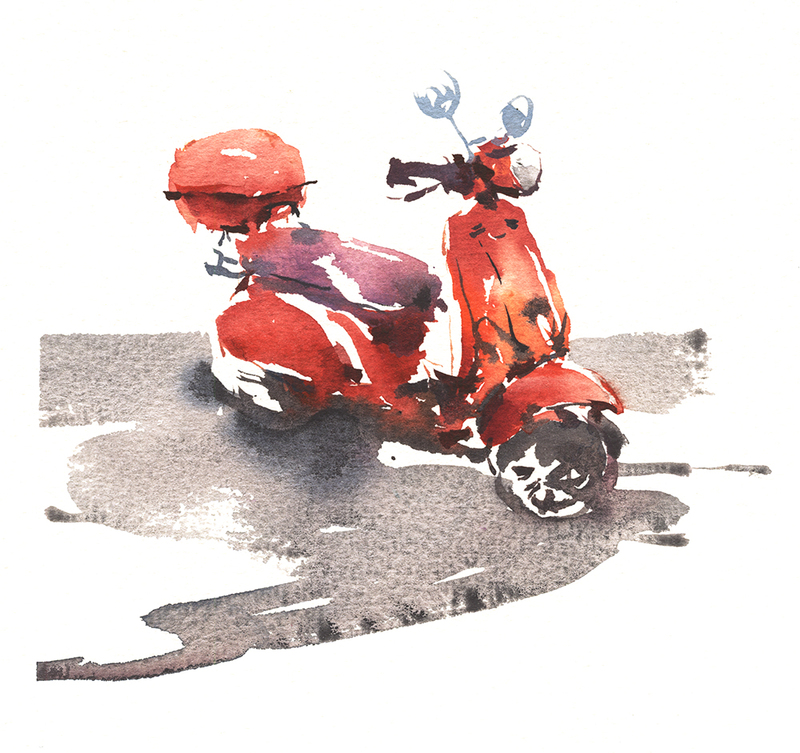 The first thing should probably be – how a beginner might approach brush drawing. I’m thinking of calling this Converted Line. But it might also be called Absorbing your Lines. 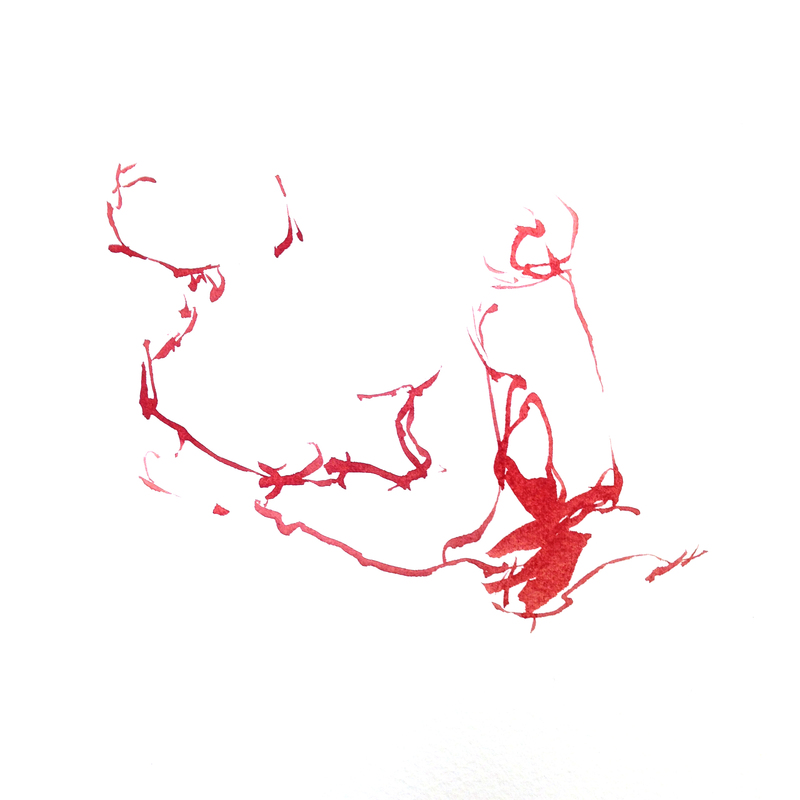 If we begin by drawing with the brush – well, it’s harder than drawing with a pencil. There’s no erasing, and, of course, the brush tip is harder to draw with. 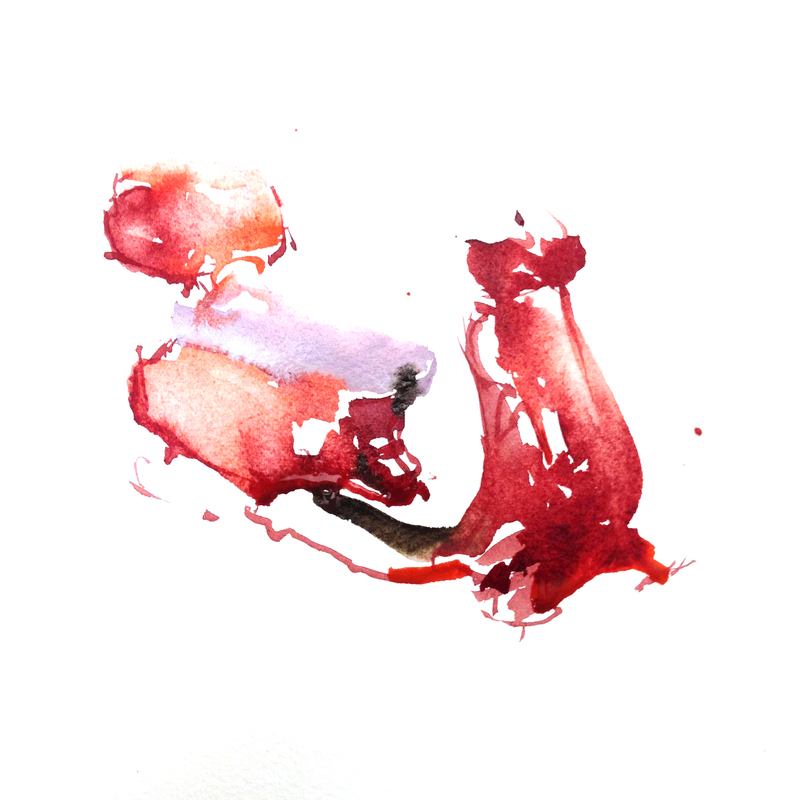 BUT – the advantage is – we get a WET line, which we can simply ABSORB into shapes made with the side of the brush. In this way, the drawing progresses from LINE to SHAPE >>>> at the same time <<<<. (Don’t wait so long that your line is bone-dry, or it won’t melt into the shapes as nicely). I think this is more organic than a drawing in pencil and filling with color later. But also, this helps us see how little drawing we actually need to see a shape. (With practice). Sometimes it’s too organic! You *will* sacrifice accuracy. That is absolutely true. But what you get in return is a kind of internal blending of color, that you cannot achieve any other way. l still try to proceed [Larger > to > Smaller] and [Lighter > to > Darker]. Just as if I was tinting in the Tea, Milk and Honey method. And I still have to wait for the shapes to dry before I put in some small touches with more brush-line. It might seem a fruitless exercise when seen in isolation like this. Why do I want to make this clumsy drawing? When I can make a better (more accurate) drawing with a pencil? Because the goal – eventually – is to use less and less and less guiding line, and be able to think in wet shapes. Shapes fuse together in more solid, structural ways. And – eventually – can give you a feeling of minimalism, in which less is more. And of course, shapes can be knit into the background, to make a fully integrated water painting, which begins to consider the figure-ground relationship – and later on, the use of depth in the background, as well as any number of things that can be your next level of practice, after you are comfortable with brush drawing, and painting directly! This is absolutely ridiculous man… lol. 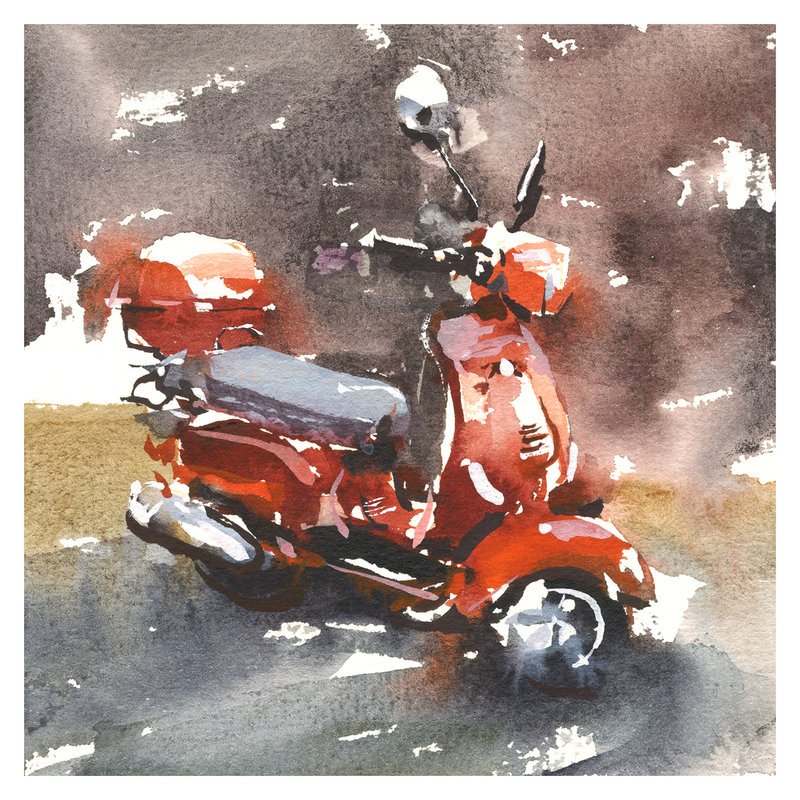 This is so good I don’t even know what to say… I tried painting a direct watercolor scooter after your last ‘direct to watercolor’ post demo, and was VERY QUICKLY humbled. Marc, this is a great concise way that you’ve explained painting directly. I’m currently re-visiting your Craftsy class & hope to practice some direct painting before I take your workshop in Chicago in a couple of weeks. So this little discussion of “converted lines” has (I think . . . and hope!) helped to make this concept more concrete for me. Thanks so much. Looking forward to seeing you in Chicago! Absolutely love this post!!! I have to learn to let go and paint like this — so beautiful! Wow! Your pedagogic prowess is showing…again. Thanks for this. Love it . . . .how about ‘liquid line’ . . . ‘fluid line’ . . ha ha ha something along those lines . . . This is harder to do than you make it look. Thanks for the post showing your steps. I think that the final result has more life, more interest and even spirit than a detailed line drawing as you described. Wish I had your talent for doing this. Thanks for your detailed instructions to help us see more clearly and put more interest in our paintings. Your work is gorgeous, no matter the subject! Thanks for sharing. You’ve explained the process from line to watercolor painting perfectly and demonstrated it, as well. Beautiful. No, it’s not totally accurate, but it looks more artful (showing the hand of the artist) than a line drawing that’s colored in. Beautiful work! This is an amazing exercise for 30/30…. 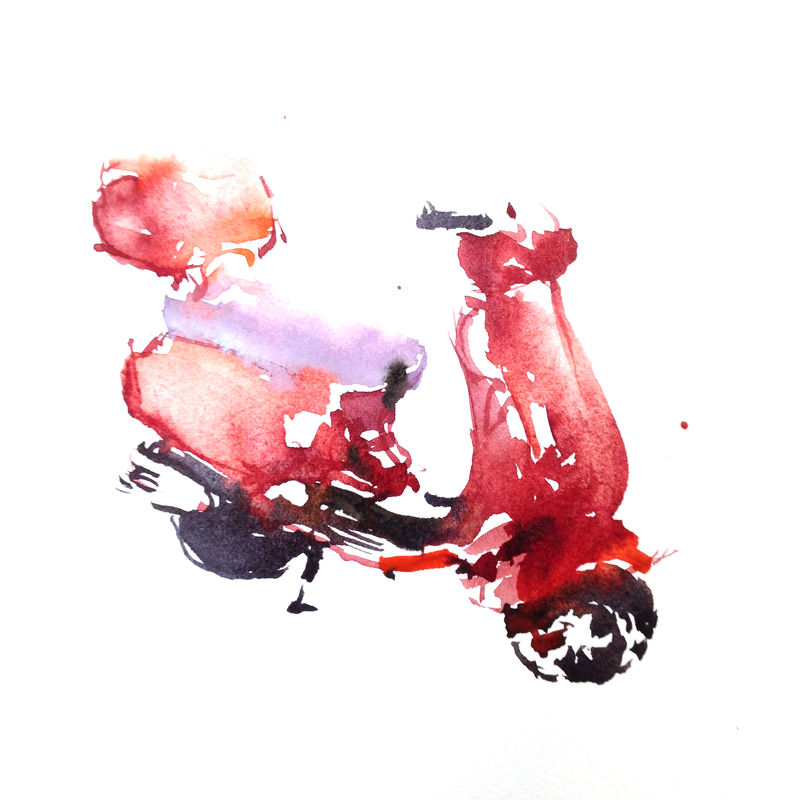 such a simple subject yet painterly. Good job! This kind of confidence comes only with a lot of practice. Fabulous. For us relative newbies, drawing without the pencil seems rather intimidating. Having said that, however, I would love to try as I love the finished look.